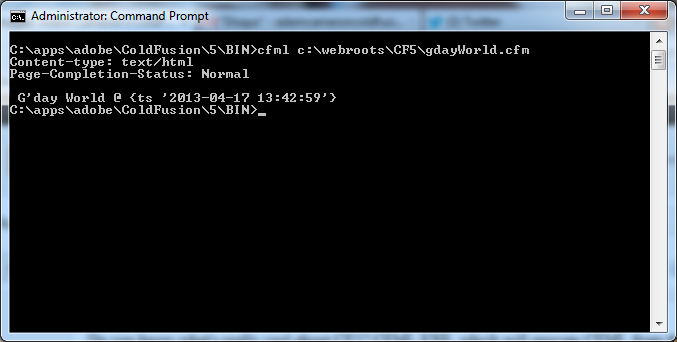 Here I have run my gdayWorld.cfm directly from the command line, and it outputs the result. Nice. CFML really was quit a nice shell-scripting language back in the day, on Windows environments. It's such a shame this was taken out of later versions of ColdFusion.